Almost into February and here's the first posting of the year. Maintenance wise nothing has been done and no issues to report. The spate of cold weather has meant that the TVR has been mostly in the garage but it was sunny today so I used this opportunity to take a trip to the supermarket for the weekly shop. The return route was the longer more interesting route as usual. I've recently aquired some rear disc brakes, hubs and calipers so that will be a mini project soon. Just need to source the handbrake cable then I should have all I need assuming I do have some spare flexi pipe ends in the spares box. A while back I aquired a manifold from a crash damaged car. As I had a free day today I started on a task I've been meaning to do for a while, that of fitting a wideband meter. A lambda boss was was welded to the manifold and then it was off with the old manifold and on with the new. Having fitted the new manifold it was then that I discovered that the collector and downpipe was sitting too close to the front of the engine. It was about 15mm closer than the old offside manifold. That in itself wasn't a big issue although it was close to the coolant pipe from the water pump. The real issue is that I have a custom exhaust system and the hockey stick pipes have been customised where they join the main system. There was no way that I could accomodate one hockey stick terminating 15mm further back than the other. After a bit of cursing and a coffee I then refitted the old manifold and all is as it was. At some point I need to get another lambda boss and weld that to the steel system that is fitted. With the MOT due next month it was time to check out what appeared to be a worn steering rack. This was spotted while replacing the brake pipes over the winter as there seemed to be some play on the track arm. With the track arm removed from the end there wasn't the play I expected with the track arm to rack joint. I then realised that the thread in the track end was a sloppy fit to the track arm. Fortunately I had a spare QH QR1384S track end tried this on the track arm and the thread was snug and no play. The one I'd removed was a cheap ebay item - "that'll learn me" as they say in these parts. Fitted the QH unit and all seems fine. The car passed the MOT last month without problems. A few weeks ago (on the way to my wedding) I noticed the rear of the bonnet was loose on the nearide, you could lift it a bit. 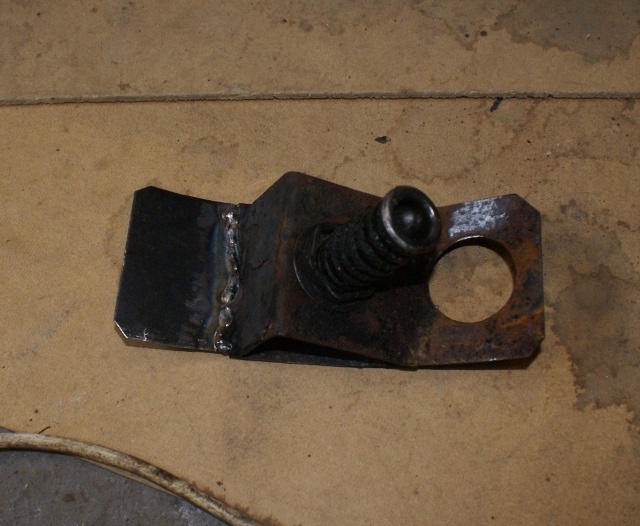 This weekend I had a good look and discovered that the metal bracket that the sriker is fixed to had fractured. 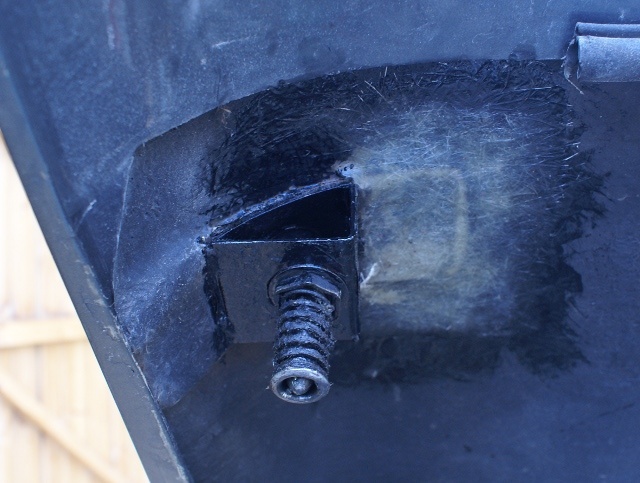 The repair was straight forward, cut the GRP fixing away from the broken lug, cut and form a strip of steel to replace the broken lug, weld into place, stick in place with contact adhesive and then glass over the new lug. A lick of paint on the bracket and the job was done. 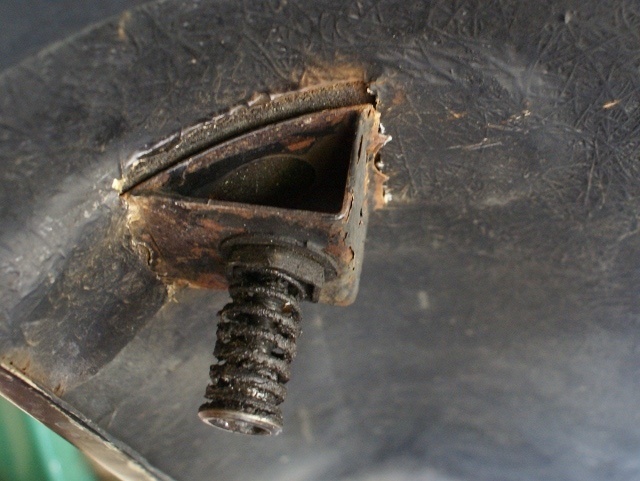 A check on the offside bonnet bracket revealed it was cracked half way through. Fortunately this just needed a bit of the GRP cut away to reveal the crack in the lug and then a quick blast with the MIG cured that. A lick of paint and that one was resolved. The bonnet has never been so secure as it is now so I'm guessing they've been partially cracked all the time I've had the car. Hmmm.... just realised I'd not uploaded any updates since January. A lot has happened since then but not much on the car. Since moving into the new house there has only been one update to the S. Following on from a posting by CTE on PH I thought I'd do some digging into the matter of phasing the UJs on the steering column. Mine has always been 90 degrees out of phase and my previous Westfelds also were like this so I assumed that it was correct. Having set the UJs so that they are in phase the steering feel has completely changed and the loading experienced on corners has vanished. The same useles turning cirle still exsts though. When resetting the ignition timing on the S3 I've always gone for placing the ECU in service mode and then adjusting the timing to 12 degrees btdc. There are several alternatives suggested to placing it into service mode, thes being remove the throttle pot connector or the ISCV connector. The ISCV one just didn't make sense ( it turned out to be one of these "internet facts" that spread through forums) and I've tried disconnecting the TPS with little success - only once did the timing match up with placing the ECU in service mode. Today I thought I'd play with the method used on American Ford 2.9 engines. There they have a connector to cut off the SPOUT signal to the TFI module on the dizzy. The SPOUT signal is the one that varies the timing and if it isn't present the timing defalts to the static default. Last night I'd fitted a waterproof connector in the SPOUT lead so this morning it was tested. The engine was taken to normal operating temperature on a nice run then the SPOUT signal was removed. The result was a rock solid 12 degrees btdc as per service mode. Revving the engine still maintained a static 12 btdc timing. I then reconnected the SPOUT signal and tried removing the TPS. Revving the engine revealed that the timing varied in the same manor as if the engine was running in normal mode. Disconnecting the ISCV was the same although the idle was a bit slow and lumpy with the ISCV closed off.